Everything. With the cameras rolling, Maddie’s second-chance romance with her all-too-famous new boyfriend gets complicated, Avery struggles with grief over the loss of her mother, and Nikki’s reluctance to commit to the man who loves her could leave her to face the biggest challenge of her life. Even the hotel seems to be against them, when their renovation uncovers a decades-old unsolved murder which just might bring their lives tumbling down all over again. One (or more) Sentence Summary: This is a summer of firsts for me. Wendy Wax is another author I have not read before. I very much enjoyed Sunshine Beach. I loved the whole mix of the stories in one book. Plenty of romance, mystery, major renovation project, and coming to terms with the past. Favorite Character(s): I really liked all the characters and don't really have a favorite. I would have like to taken Nikki and shaken some sense into her. She has a fabulous man who loves her unconditionally loves her and blows it....and subsequently finds out she is pregnant with twins....and doesn't tell him. Come on Nikki. Fast read/slow read: Another perfect summer pace! 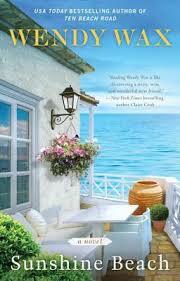 Cover: I could sit on that porch all day long - it is beautiful. Would I Read Other Books by the Author: Yes, even though this is part of a sequel, you don't need to read the other books to understand what is going on in Sunshine Beach. I would however, like to go back and read them. I would have actually preferred to have read them prior to reading Sunshine Beach. 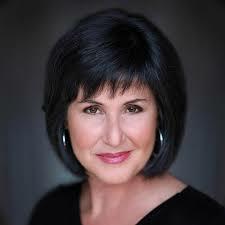 Wendy Wax, a former broadcaster, is the author of twelve novels, including A Week at the Lake, While We Were Watching Downton Abbey, The House on Mermaid Point, Ocean Beach, and Ten Beach Road.